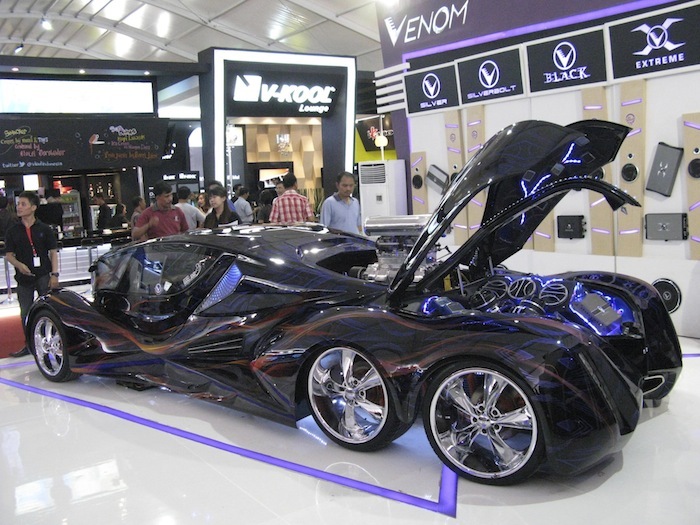 There are pictures at Venom Booth in IIMS 2012 Jakarta. 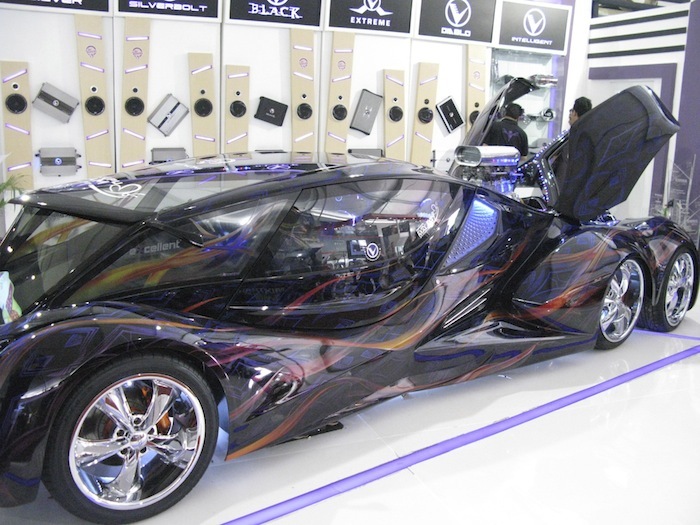 Venom is a car audio specialist. In their booth we can see 6 wheels sedan full with audio and lighting. Pameran manufacturing apa aja, Kay? September tahun depan?